Manufacturer of a wide range of products which include luminous inverter, luminous high capacity ups inverter, luminous sine wave inverter, home inverters and home ups systems. 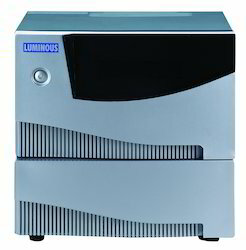 Luminous is India's most preferred UPS Brand in India. It offers wide range of UPS and battery Combo. Below are the selling prices of Bestselling UPS with battery Combo. Inverter or home UPS is an electronic device which converts D.C. (Direct Current) to (alternating current) so that you get uninterrupted power in your home in case of frequent power failures. 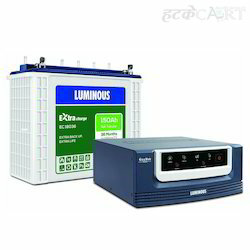 .Luminous High Capacity UPS are powerful and reliable power backup solutions for running Sensitive appliances. It can run all powerful Machines such as Refrigerators, Laserjet Printers, Air conditioners, Photo copier machine along with Lights and Fan.When there is electricity available, it charges the battery, when power fails, It supplies electricity from the battery. That’s how you get 24*7 uninterrupted power from inverter in your home and office.A pure sine wave inverter does not create humming noise from fans and it will not let sensitive appliances heat up such as a laptop adapter. Pure Sine wave UPS is considered to be the best quality UPS. 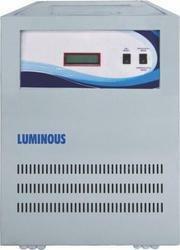 In Nantech, We are dealing Home Inverter.. We dealing Inverter Luminous/Microtek..
Luminous Inverter pure sine wave UPS with features such as Intelligent Water Level Indication which helps consumer to track battery water level hassle-free, low harmonic distortion makes UPS practically noiseless. 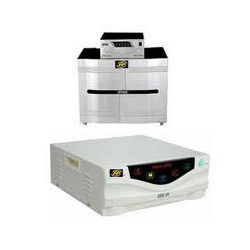 Pure sine wave output makes it highly efficient and helps in save on electricity bills. We have established ourselves as renowned manufacturers and suppliers of Luminous Inverter, which is widely demanded by the clients. These inverters are compact in design and configured with latest technologies. In order to meet the diverse requirements of the clients, they are available in varied specifications and can also be customized according to their needs. The product is used in various places such as in offices, shops and in many such places. Ours is a reputed firm engaged in the manufacturing and supplying of Home UPS Systems, which is widely demanded these days. These products are manufactured using high quality raw material procured from the reliable vendors of the industry. The product is available to our clients at very reasonable rates and within the specified time frame. This product is used to monitor the output level and battery voltage and are widely demanded these days.